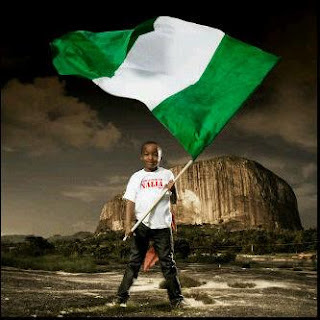 Nigeria Gists: #MustRead: Where Are The Youth To Lead Nigeria? #MustRead: Where Are The Youth To Lead Nigeria? There is a debate currently going at the National Assembly and in the minds of everyone who imagines that Nigerian youths have consistently been denied access to high political office. You would have over the years, encountered allusions to how it was said by some politicians, shortly after independence, that the future belonged to the youth and how those same politicians are still holding the tiller piloting national affairs 55 years on. Since return to democracy 16 years ago for instance, Nigeria has at various times been at the mercy of one sexagenarian and a septuagenarian. Both of them, having a second take at the slot. The first, Chief Olusegun Obasanjo was negotiated back to office by fellows of his gerontocratic communion from around the country. He attained civilian presidency at the age of 63 relinquishing power to his choice of successor when he turned 71. Obasanjo mostly ruled Nigeria with the fistful authority of an African patriarch, whose word is law and command is decree. With him in power, the people’s desire for a younger leader grew like a deer panting for water. And by some happenstance, since Obasanjo is not exactly popular for deferring to public opinion, he was succeeded by a much younger man who was succeeded by another younger man. Unfortunately, by the end of the administration of President Goodluck Jonathan, a majority of Nigerians were ready to try the leadership of anyone irrespective of the number of years they had lived. In response to some suggestions that age was not on the side of then Candidate Muhammadu Buhari, his supporters drew parallels from the triad of South Africa’s Nelson Mandela, America’s Ronald Regan and Britain’s Winston Churchill in the justification of the sense in electing someone in the autumn of his years as President. With unusual passion and near unanimity, Nigeria sought a Buhari Presidency, hinging this desire on his legendary integrity, an aptitude, which was long lost in our leadership. But even then, a great number of Nigerians insisted that the country deserved a much younger leader. And one year into the Buhari administration, members of the National Assembly are considering legislating this into fruition. A Peoples Democratic Party member representing Oshodi/Isolo Federal Constituency 2, Tony Nwulu, recently proposed a bill seeking to alter Sections 65, 106, 131 and 177 of the 1999 constitution as amended. This is to reduce the age qualification for the offices of President, Governor and Senator from 40 to 30 years and 25 years respectively in order to open public offices to younger people and expand the age bracket for political participation. Nwulu made copious references to jurisdictions like the United Kingdom, France, Norway and several countries in western societies where the age qualification for political participation is much younger. He spoke about the need for Nigeria to expand the frontiers of democracy and quality of political office holders by considering lowering the barrier of entry. I imagine that advocates of the massive recruitment of young people into active politics will hail this gesture, which has already passed second reading and may soon become law depending on the successful amendment of the constitution, but I consider this to be one of those impulsive steps that Nigeria leaders take in total indifference to our realities. Such leaders will always run themselves and society into a socio-political quicksand. While it is true that the situation of the Nigerian youth has progressively deteriorated over the years due to policy failures, entrenched self-interests and incompetence on the part of successive leaders who have undermined the competitive capacity of our society, to imagine that lowering the age qualification for nomination to high political offices will solve this problem is indicative of a lack of rigorous contemplation. The first question to ask proponents of this amendment is what happens to the academic and intellectual capacities of the individuals who aspire to these offices? Do we still leave the basic qualification at school certificate? Secondly, do these lawmakers realise that a chunk of our youths are still struggling to get out of higher institutions due to the injuries that gaining admission and incessant strike actions inflict on them during their tenure on campuses at about age 25 and 30? And those who are out are still searching for a steady means of livelihood, jumping from one bus unto a commercial motorcycle, perspiring all over, resume in hand in search of increasingly diminishing employment opportunities. Do we want to surrender political office to people who would see politics as meal tickets? The only other possibility is that these offices will be passed on to offspring of politicians and upper class Nigerians who attain academic qualification at relative young ages. In which case, we would be excluding the majority of Nigerian youths, handing over political offices to the children of the same people who have destroyed the country. When we erect such pillars of shared prosperity, young people will not need the generous solicitation of lawmakers before demanding their rightful place in the organogram of power in a society in which they are an integral part. And this does not have to be in politics. Professor Wole Soyinka, who would later go on to win the Nobel Prize for literature wrote his first major play, The Swamp Dwellers at 24! This was followed by the hugely successful Lion and the Jewel one year later and the oracular Dance of The Forest in 1960 when he was 26! The same goes for Professor Chinua Achebe, whose magnum opus, Things Fall Apart, was accomplished at age 28. Professor Iya Abubakar had worked as visiting professor at the University of Michigan before his 30th birthday. He was later appointed Professor of Mathematics at the Ahmadu Bello University, Zaria. The same can be said of some First Republic politicians. Chief Obafemi Awolowo’s book, Path to Nigerian Freedom, was published in 1946 when he was freshly called to Bar. He set up the Egbe Omo Oduduwa one year later in his late 30s. At age 30, Dr Nnamdi Azikwe had become a household name in most of Africa while Sirs Ahmadu Bello and Abubakar Tafawa Balewa formed the Northern People’s Congress in their 30s. Although we still argue over the auspiciousness of the Biafran War, that secession attempt was led by 34-year-old Lt. Col. Chukwuemeka Odumegwu Ojukwu who prosecuted the war with philosophical sophistication. His opposite on the Nigerian side, Col Yakubu Gowon, became head of state at 32. Now, just a few of these men had any privileged hereditary neither did they attain these posts for being young. They were qualified and flourished in a society that gave them the best. Any law reducing the qualification for political participation is therefore, at best, self-serving. It gives its proponents away as agents of the materialistic school of politics where access to power is equal to flinging the door open for younger persons to plunder the commonwealth. Were their views of politics in conformity with Jeremy Bentham’s utilitarian school where power is an avenue for service and seeking the happiness of the greatest number of the people, they would focus on fundamental, progressive and futuristic appreciation of energies of the younger generation than the tradition of allotment that currently defines our politics. Dynamic laws are required in education, culture; sports, science, law, innovation and entrepreneurship all with the potential to jumpstart Nigeria into a position of respect within the global community and inspire faith. We should create an open society that encourages a culture of debate over political fraternity that has crippled our leadership selection process. But this age reduction initiative is a knee-jerk initiative which is not able to lead Nigerian youths to any better future.